Freezing temperatures. Whiteout storms. Icy roads. And, worst of all, frozen pipes. While you’re probably going to have to tough out the first three, with a little know-how you should be able to keep your pipes in one piece this winter. Why are frozen pipes a problem? 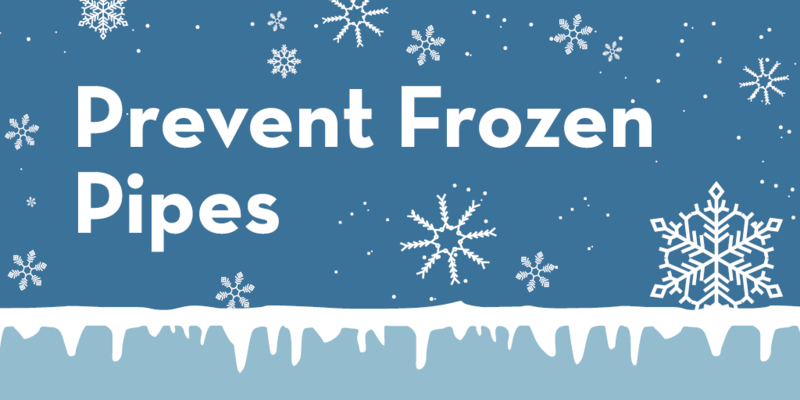 Frozen pipes can easily burst and cause thousands of dollars in flooding damage to your home. Why do pipes burst when they freeze? Water molecules have an uncommon property: they take up less space as a liquid than they do as a solid. So when water freezes inside a pipe, it expands against the edges. And because cold temperatures tend to make most metal and plastic pipes more brittle, they’re more apt to break under that stress. The ice plug inside slides out and water behind it floods into the home. Documents like these are also available in Agent Toolbox!